AN increasing number of Zimbabweans are taking their chances to trade forex online and earning a much-needed income. 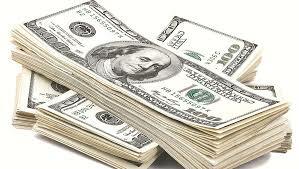 Forex trading is so lucrative that some traders are raking in as much as US$200 000 per month each. But seasoned traders such as Bekithemba Nkomo and Kuda Manzanga have cautioned that foreign currency trading is not for the impatient. They also caution that although the benefits can be lucrative, the risks are real. Munashe Maziwananga (21), an Applied Chemistry student, says he has made and lost money while learning to trade. But all this could change for the better. This is because a school for foreign currency trading has been opened in Zimbabwe’s second largest city, Bulawayo. The Foreign Currency Trading Association of Zimbabwe (Fotraz) was officially launched together with the Foreign Currency Trading School in Bulawayo at an event attended by people from across the socio-economic spectrum in the country, including deputy minister of Industry and Commerce Raj Modi, business leaders Bekithemba Nkomo and the director of the Midlands State University incubation hub Patience Siwardi and internet service providers such as Zol and Powertel. Analysts say it is now up to the authorities in Zimbabwe to provide the necessary legislative support for this nascent sector of the economy. They contend it will take a while for Zimbabweans to embrace foreign currency trading as a viable economic activity given the history of scams associated with money changing. Ray Motsi, the principal at the Theological College of Zimbabwe at which the Foreign Currency Trading School is housed, emphasised the need for a paradigm shift in the way people view earning a living. Foreign currency trading could prove pivotal in efforts to turn around the country’s fortunes as one of the speakers at the launch Bekithemba Ndlovu, a businessman and an executive at Lloyds Corporate Capital, said. “This market is a US$7 trillion-a-day market. From a Zimbabwean perspective, it boggles the mind that you and I can partake in. And this is where I think corporates need to get involved and see this as an opportunity for themselves and the young people around them. The school here needs support of the corporates to teach these young people. There is nothing wrong with corporates setting up a trading desk in their office. My advice to young people is that you have the data and data is the new oil. You can imagine what oil was to the world. We can certainly make Zimbabwe the hub of international financial services. We have the people and Africa is the next frontier. Bill Gates and Jack Ma have acknowledged that,” he said. Foreign currency trading is different from the notorious money changers on the streets of Zimbabwe’s urban centres called osiphatheleni, a point which is not lost on the people behind the launch of the Forex Trading School and Traders Association. According to Manzanga’s estimates, online foreign currency trading is generating over US$200 000 every month in this country alone. The deputy president of the Foreign Currency Trading Association of Zimbabwe, John Mutamasango, said the challenge for online foreign currency traders is that the activity is neither understood by most Zimbabweans nor regulated. “We are engaging with the media and the general public. It is far different from what people know. There is need to demystify what foreign currency trading is, even within the government structures. A few days ago, I was speaking to a few Reserve Bank of Zimbabwe officials who had no idea what foreign currency trading is all about. What we need the government to do is come to the realisation that foreign currency trading is a lucrative foreign currency earner. We are looking at legislation which would make it legal for a person to set up a broker and which would look into the transfer of funds into Zimbabwe from a broker without looking like it’s money laundering. Zimbabwe is losing out big time,” explained Mutemasango at the launch in Bulawayo. Industry and Commerce deputy minister of Modi said government was committed to the initiative to train players in the sector which relies on internet connectivity and knowledge of the financial markets.